Hello Beauties! I hope you're all well, I'm in the middle of writing my dissertation at the moment so things are pretty crazy and stressful for me, and it's crazy to think that I only have a couple of months left at Uni. I can't say I'm sad about this, it's been a long 4 years and I can't wait to get out there into the world of work and go back to earning my own money again! Anyway, back in January while I was supposed to be revising for my exams, I popped into MAC to pick up a sample of their Matchmaster Foundation as I wanted to fully try it before I spent nearly £30 on a foundation, however as you can probably see by the photos, I didn't exactly stick to that plan and ended up leaving with much more than I intended to - but that's always the way, right? I'm blaming this one on revision stress, and the fact that I hadn't had a proper splurge in MAC for a while, so I deserved it maybe (or thats what I'm telling myself!). Like I said, I originally went in to pick up a sample of the Matchmaster Foundation. I'd heard great reviews on how it's brilliant at controlling oil without making your face look flat, and that it's great at adapting to your skin tone, so there's less chance of those awful orange lines that can sometimes appear. I haven't had the chance to give this a proper go yet, as I want to try it on a day when I'm really busy with less time for powder touch ups - that way I can really put it to the test, so I'll have to update you all on that one. The main reason why I ended up spending so much was the lovely lady who served me. She had beautiful dark glittery eye make up and I couldn't leave without asking her which products she had used. She kindly told me that she'd used a Pro Longwear Paint Pot and then used her finger to dab on 'Cinderella', one of the Mineralize Eyeshadows, on top to create the glittery look. I'm a huge fan of glittery eyes and although her make up was a bit dark for my liking, I did take a look at the Mineralize eyeshadows and didn't leave empty handed. If you've been a reader of my blog for a while now then you'll know I'm a big fan of purple eyeshadows, and I've been looking for a purple quad which also contains a browny purple shade for ages now with no luck, until I saw 'Great Beyond'. It's not your average quad, as the shadows all blend into one (a lot like the new Hourglass palettes) and the shadows are a little smaller than your average eyeshadow quad, but this really doesn't bother me as I rarely finish an eyeshadow quad completely. The palette contains everything you need for a day look, smokey look, night time look and all of the shades are soft and pigmented with the most beautiful glitter. This is like my dream quad, and I already have my eye on 'Pink Sensibilities' from the same line! I also picked up another Pro Longwear Paint Pot in the shade 'Let's Skate' to use as a base with the Mineralize Quad, which was a completely unnecessary purchase as I already have 'Chilled On Ice' which would have worked perfectly, but I guess I was feeling spendy. Let's Skate is a gorgeous light pink colour with golden reflects running through it which looks beautiful either on its own, or with other eyeshadows layered on top, which is mainly what I use it for. I love the Pro Longwear Paint Pots as they really do help my eyeshadow to last and the glittery/shimmery ones are just so pretty. While I was there, I also repurchased one of my all time favourite lipsticks, Lovelorn. I could hardly go to the MAC counter without looking at the lipsticks and at the time, me and my Mum were the only ones in the store, so I took this rare opportunity to have a proper look at the lipsticks without herds of teenage girls pushing and shoving me. Despite, having the lipsticks all to myself, I still managed to come home with one I already owned, but in my defence my old Lovelorn was getting a little low and looking sorry for itself, and as it is my favourite, I had to make a repurchase. Lovelorn is a beautiful mid toned pink which just looks gorgeous with any make up look. If I don't know what lipstick to wear, 9 times out of 10 I'll opt for Lovelorn and I think it's a shade everyone should own! Oh you've made me want to pick some things up from MAC as well. I've had my eye on some of the paint pots and lipsticks and lovelorn is now on my list. Lovelorn looks sooo pretty!! 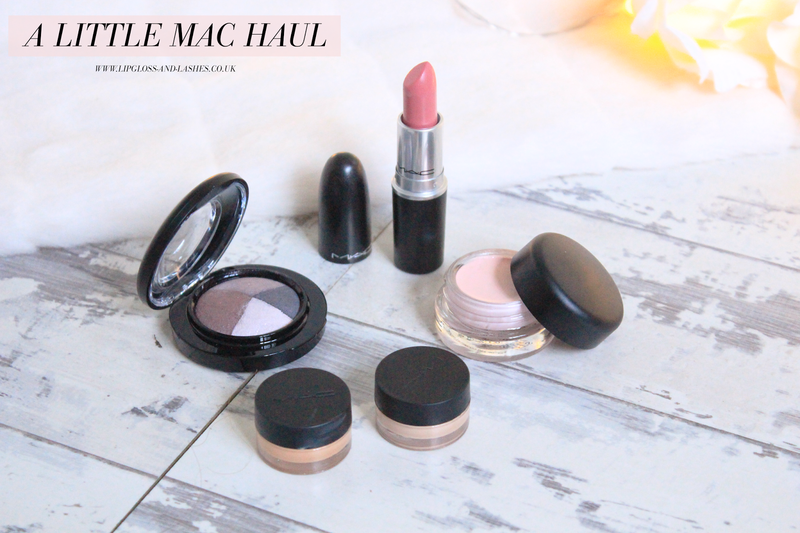 I have a few lipsticks from MAC on my wishlist at the mo! Perfect haul! That lipstick is the most gorgeous colour! Everyone needs Lovelorn in their collection for sure! I want to try the Pro Longwear Paint Pot! It looks so pretty! 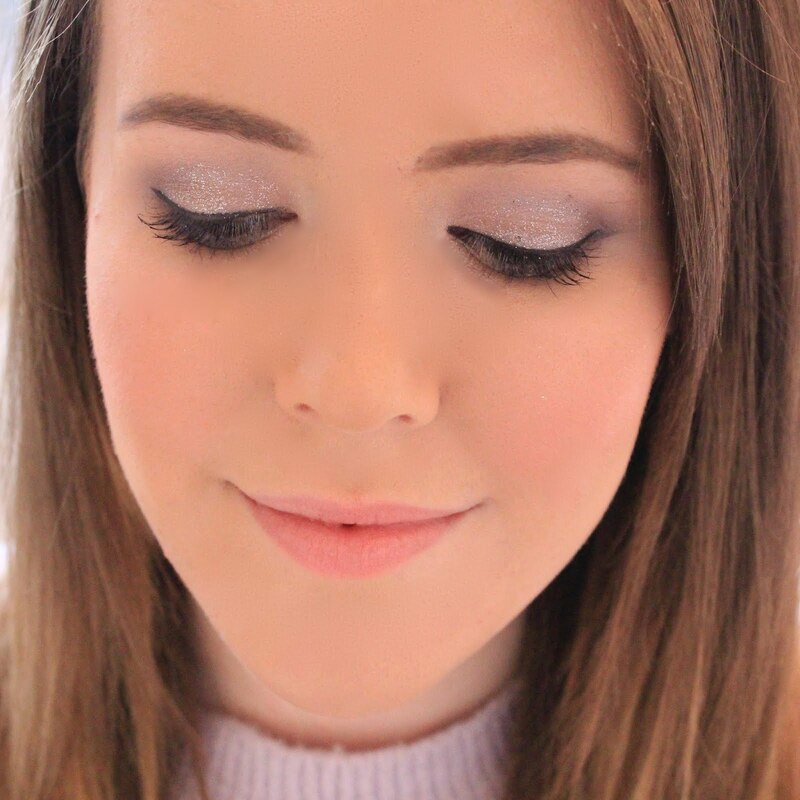 Very intrigued about this glittery eye look! Oh what a great haul! I am definitely a fan of glitter as well. It just looks so pretty! Love that lipstick shade, too. Great haul. I love the look of Lovelorn and I'll absolutely need to scope that one out next time I pay a visit to MAC.